If you’re amongst the millions of people that want to eat healthier in 2018 but wish you didn’t have to sacrifice delicious food in the process, then you’re in luck! As of January 18, 2018, B. GOOD Food with Roots has officially made a home right here in Rockland County. 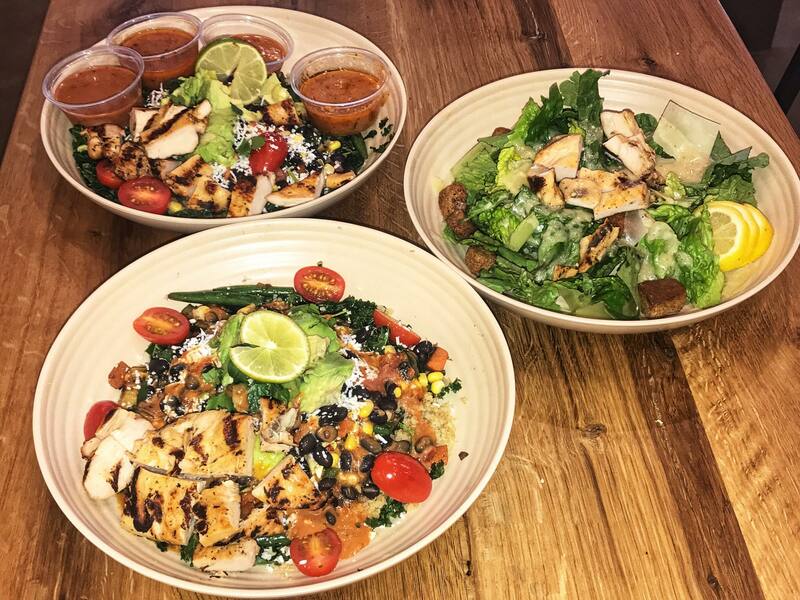 This healthier alternative, compared to the average fast food joint, is blowing away the healthy food stigmas and providing locals with an amazing food experience that will leave you wanting to come back again and again. Located in the Rockland Plaza of Nanuet, B. GOOD offers a wide variety of kale and grain bowls, burgers (ranging from beef, turkey, chicken, and veggie), sandwiches, salads, smoothies, and milkshakes to satisfy just about any appetite out there. The portion sizes are very fulfilling and you’ll get bonus satisfaction when you find out how low in calories the entire meal is! Their signature Spicy Avocado and Lime bowl has to be number one on our growing list of suggested meals to try. The mixture of kale, sautéed veggies, avocado, black bean and corn salsa, quinoa as well as a few other tasty ingredients had us wide-eyed and ready for seconds after the first few bites. The best part is it’s less than $10 and only 521 calories. For the salad and burger lovers out there, not to worry, they have some incredible options for you as well. The Adopted Luke burger with mushrooms, caramelized onions, smoked gouda, and BBQ sauce as well as their Chicken Caesar Salad with a flavorful lemon-caesar vinaigrette dressing are absolutely delectable and a must-try! No time to sit down and eat? You can always grab one of their signature smoothies to go – packed with different combinations using all-natural fruits and veggies that will satisfy your taste buds and give your body a healthy boost. If there’s still room for dessert after your entrée, don’t hesitate to get back in line for one of their yummy milkshakes. What’s so great about B. GOOD that differs from other health conscious restaurants is the mission behind the company. All of the food that they serve is sourced locally. Not only do you get delicious, healthy food by supporting this new establishment, but you in turn are supporting the local farmers and food businesses around the area. There is certainly a peace of mind that comes with knowing exactly where each ingredient of your meal comes from. Don’t be surprised if this “farm-to-table” approach towards dining service becomes a popular trend in the restaurant industry. With a great selection of healthy and affordable meals, a community atmosphere and a noteworthy staff, B. 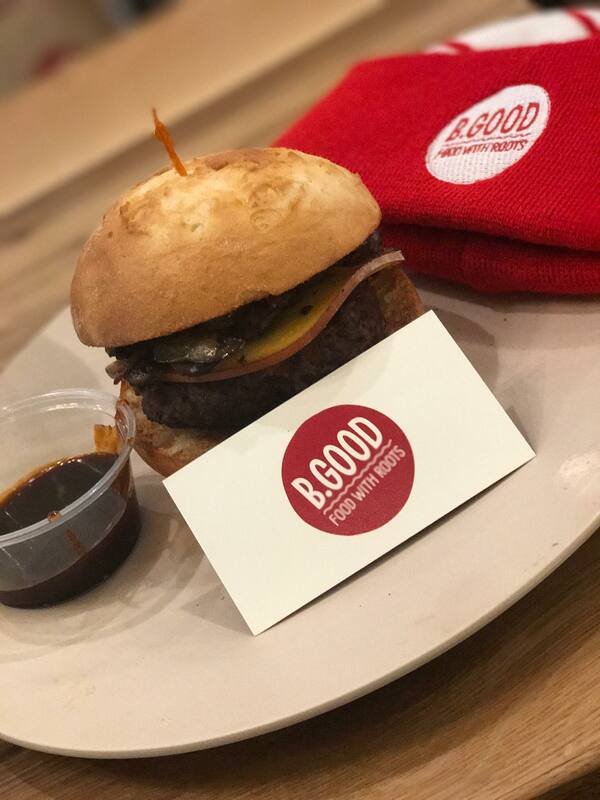 GOOD is definitely a restaurant we encourage you to visit. Customers can download the B. GOOD app to rack up awesome rewards every time you stop by.